18 May 2019. Trade event – not open to the public. 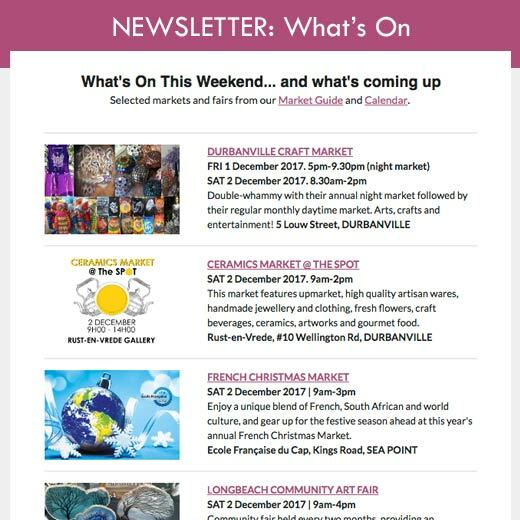 Are you a crafter looking to join one or more of the fantastic gift markets held in Cape Town each year? Around this time of year, many of the large gift markets hold selection days, inviting crafters and creatives to bring samples of their products for display. 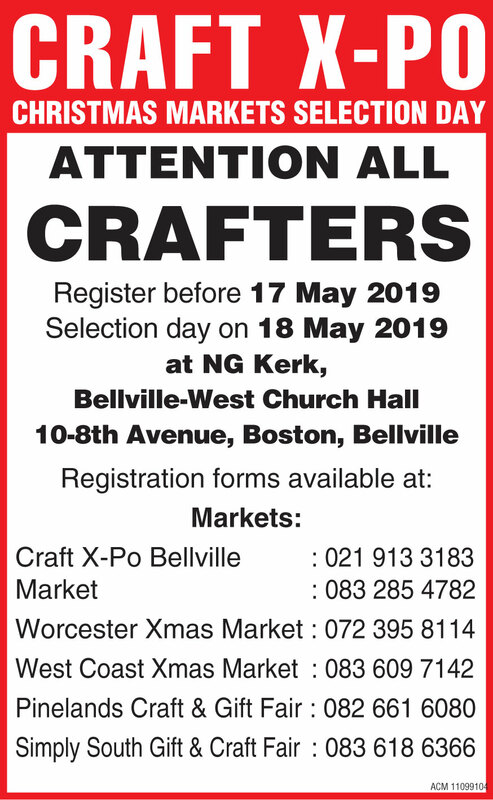 The Craft X-Po Bellville Market Selection Day is coming up on 18 May 2019 at the NG Kerk in Bellville. Selections are being made for seven different gift markets at the same time, making this a great opportunity to be noticed and secure a place at one or more markets! Registration closes on 17 May 2019. Crafters must phone each market separately for forms to fill in and send back before the 17th of May 2019. On the selection day (18 May 2019) crafters must show their crafts in the allocated categories. Please read the information letters carefully – everything you need to know will be there.